All The Gear You Need! 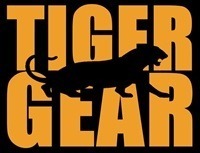 The Tiger Gear Agency offers unique, custom apparel and memorabilia just for the Princeton community--all at competitive prices! Ready to gear up? Please fill out this form and a student from Tiger Gear will be in touch shortly. Not quite sure what you're looking for yet? We're here to help! Contact us directly at gear@princeton.edu.